The acclaimed 2008 war drama directed by Martin Koolhoven is planned for Blu-ray this July. In an early announcement to retailers, Sony Pictures Classics has just revealed 'Winter in Wartime' will debut on the Blu-ray format on July 26. 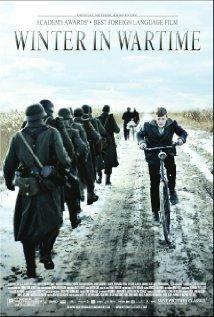 The film is based on the 1972 novel by Dutch writer Jan Terlouw and follows a Dutch boy's life through the last winter of World War II. The release will be a Blu-ray/DVD combo pack with 1080p video, DTS-HD Master Audio 5.1 soundtracks, and the only supplement is The Making of Winter in Wartime. Suggested list price for the Blu-ray is still undetermined at this time. You can find the latest specs for 'Winter in Wartime' linked from our Blu-ray Release Schedule, where it's indexed under July 26.